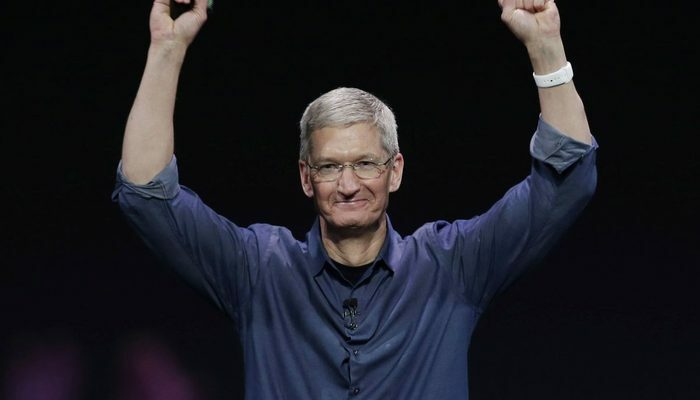 A stock record is a ‘Milestone’ for Apple CEO Cook, but not Focus. Apple CEO Tim Cook calls the market value of 767 billion pounds “not the most important measure” for success. According to the CEO, the record is due to the focus on products, company values and customers. On Thursday, Apple was the first company ever to obtain a market value of 767 billion pounds. The share benefits the last days of results that exceeded expectations. Cook calls the record an “a noteworthy milestone” that the company can be very proud of. But, he mentioned in a memo to more than 120,000 employees, the market value should not be the focus of the company. Apple has long been the company with the highest market value ever since the company broke Microsoft’s record of 475 billion pounds from 1999. Microsoft’s history would now amount to some 720 billion pounds, including inflation. “Financial results are simply the result of Apple’s innovation, our products, the fact that customers are in the first place and that we always stick to our values,” writes Cook. The CEO of the world’s most reliable listed company also refers to founder Steve Jobs in his note.